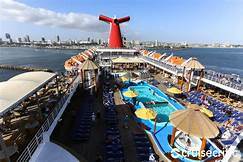 Rather than leave our New Year’s Eve plans in the gouging fingers of restaurants and nightclubs seeking to ruin our 2019 budget before the year even begins, ENTRÉE stowed away on Carnival Cruise Line’s Imagination. Leaving the graceful silhouette of the Queen Mary behind, we pushed out of Long Beach on a three-night cruise combining family fun and relaxation like only Carnival can. Our first night, after requisite explorations of the casino, comedy club, theater and never-ending buffets, we sat down to dinner at the more formal sit-down restaurant where we’d enjoy dinner each night. The food was quite good, with a nightly offering of exotic meat like alligator and rabbit, among more traditional dishes spanning the gamut from European to Indian and American steakhouse classics. Placing our littlest one in the care of the kids club, we’d go on to dance to DJs until 1am, before all retiring to our comfortable stateroom on the seventh deck. Waking up in Catalina, we loaded up on breakfast then hit the island to tour its peaks in a golf cart and eat fresh seafood on Avalon’s small pier. 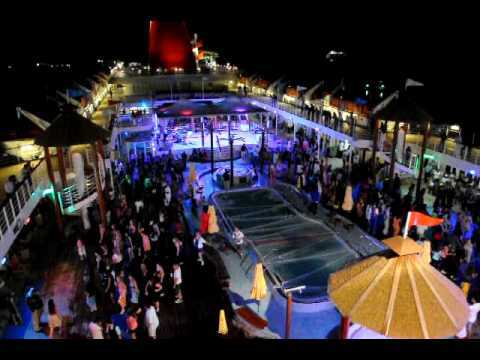 We returned to the ship, ready for a New Year’s party and Carnival did not disappoint. Our cruise director, Melessa, was an energetic spitfire of an emcee, rallying guests with songs and group chants beneath a giant balloon drop and Champagne toast in the lobby. After that, the whole ship moved outside to a massive deck, ice sculptures in all directions, every cruiser given noisemakers, hats and more champagne to party into midnight with a live band. The atmosphere was electric, friendly and joyous. We could not imagine having this much fun back at home. Returning to our cabin, we discovered one of those frequent, touching surprises Carnival is known for to make its guests feel special. 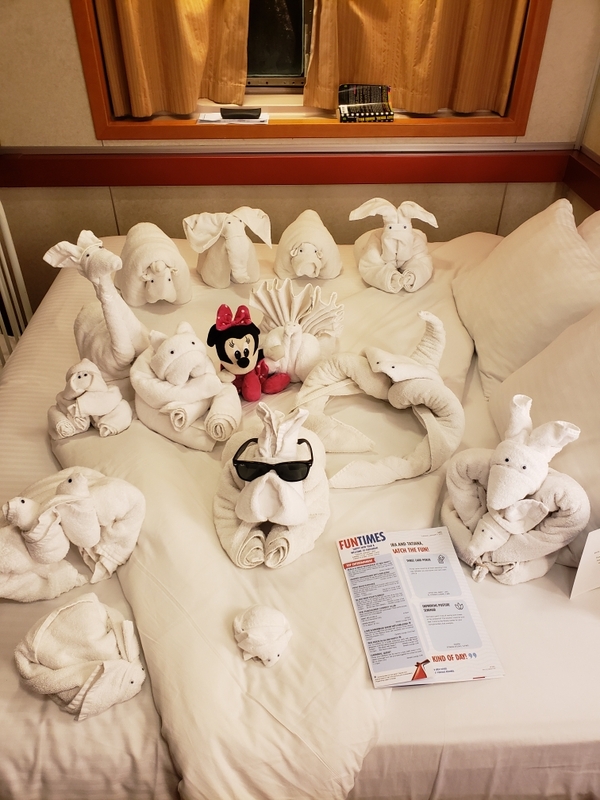 The bed in our stateroom bore a menagerie of towel animals—at least 20 of them—making our toddler’s eyes pop out of her head. 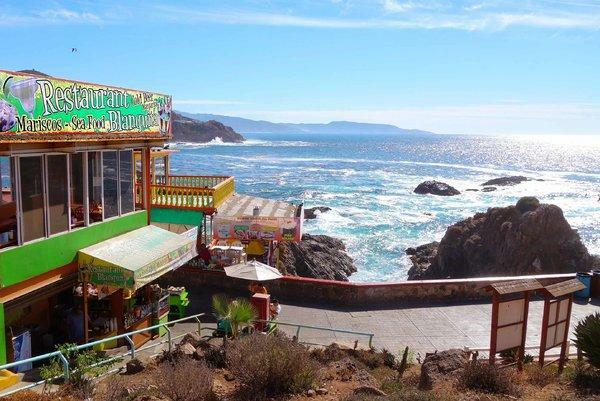 The next morning had us in Ensenada, a city we love for its welcoming locals, fresh mariscos, easy strolling and easy access to Valle de Guadalupe’s wine country. We were sad to see too many of our fellow cruisers not getting off the ship, attached to misinformed, negative opinions about Mexico. Embarking again, we had a full day of beautiful cruising on the open sea ahead us, allowing us to enjoy the Imagination to the fullest. The morning started with a Dr. Seuss-themed breakfast for kids, complete with costumed characters, followed by a performance in the theater by a cast of adorable animal towel puppets. We ate burgers from the Guy Fieri-branded stand by a swimming pool, stared at the horizon from the 14th floor sun deck, won just a little money on the slots, laughed to some stand-up comedy and mingled with the new friends we’d made and basked in our deepening relaxation. The 2,056-capacity ship kept us entertained and pampered for three days, making us fear a return to self-sufficiency back home. Beyond the wonderful people we met, wild times we had and great food we ate, we were touched, as we often are, by all the hard-working and friendly crew that makes cruising like this such a seamless experience possible. We wanted to take half the staff of the fine-dining restaurant home with us after learning their stories and sharing so many laughs, but realized in a few hours, they’d have a whole new ship full of tourists to entertain. Our experience with Carnival was leisurely, fulfilling and entertaining. Our family is even considering making it our new New Year’s Eve tradition. Prices for a four day Imagination cruise start at a bargain $250 per voyage. http://www.carnival.com.